In many areas, ever-increasing requirements are placed on the quality and the appearance of a surface. Smartphone touchscreens, instrumentation and controls in cars must therefore be free from damage. The inspection of these parts is often carried out via visual inspection, which means that in many cases the results are unclear. Tiredness or the mood of the inspector on the day can lead to fluctuating inspection results. In particular, reflecting surfaces pose challenges to manual and automated surface inspection. 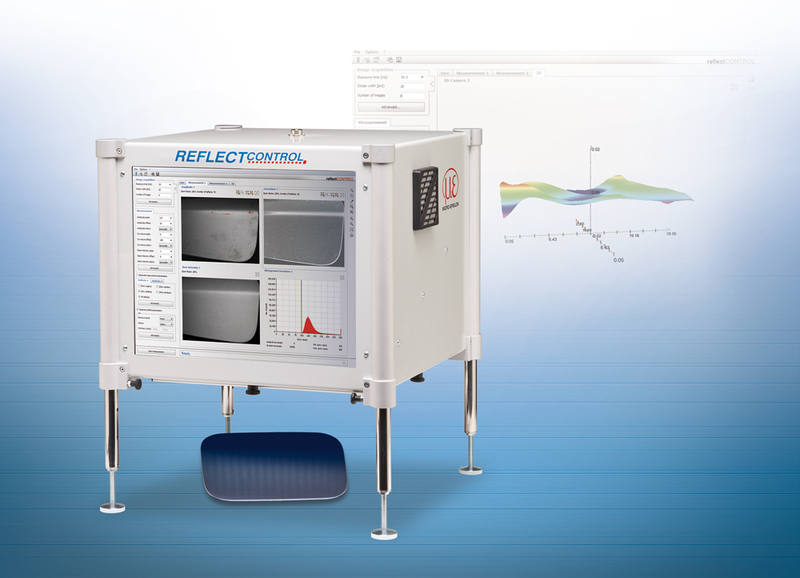 reflectCONTROL Compact is specially designed for these types of surfaces, documenting results to enable objective comparisons. Important conclusions can then be made for process improvement. The fully integrated system is available in two versions that each provides different measuring fields. The 2D version recognizes defects on reflecting surfaces. 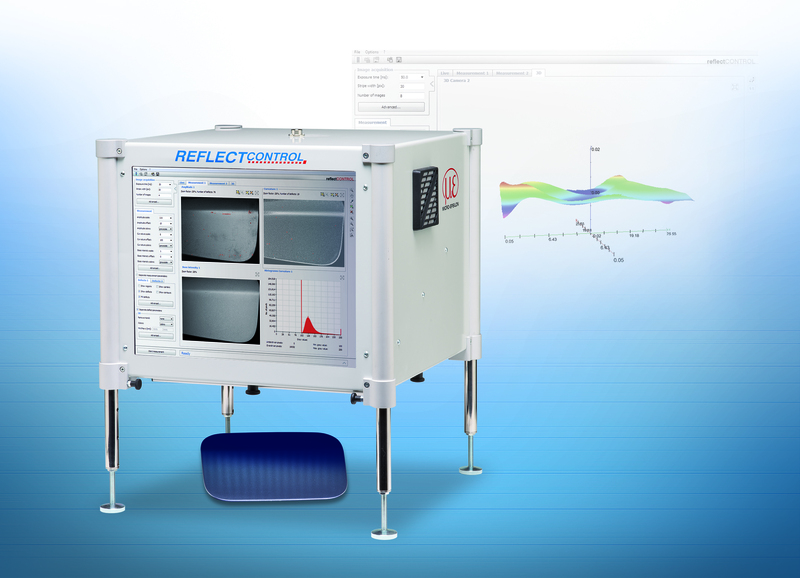 In addition, the 3D version allows for the measurement of reflecting surfaces at submicrometer accuracies. This device is also used in individual operations (e.g. laboratories) as well as directly in production lines. All components are integrated in a compact device with height-adjustable legs. The housing includes a monitor for the striped pattern protection, as well as up to two cameras. In order to avoid interferences from ambient light, the measuring field can be darkened on all of the four sides. This operation is performed via touchscreen or mouse and keyboard, which can be connected via USB. reflectCONTROL Compact can be integrated into production lines via the Ethernet interface. A digital I/O interface enables triggering. An external operating monitor can be connected via VGA. The pre-installed operating and evaluation software of the 2D version shows surface defects. The 3D version provides a point cloud. The data obtained can be treated in the image processing programs.